Fans of Gotham will have to wait another month for the show's return, since its Monday 8 PM time slot will be taken over by The X-Files six-episode event series. The debuts on Sunday, January 24 after the NFC Championship Game, followed by the second episode in its regular time slot on Monday, January 25 at 8 PM ET. Gotham will return with the 12th episode of Gotham Season 2 on Monday, February 29. While we continue the long wait for this show to return, today we have word from IGN that Fox may be considering a spinoff of the series. A spinoff certainly wouldn't be surprising, considering the show is populated with a number of colorful characters. It would also fall in line with The CW's burgeoning group of superhero shows, with The Flash spinning off of Arrow and the upcoming DC's Legends of Tomorrow spawned from both shows. Here's what Fox CEO Gary Newman had to say about a potential Gotham spinoff during the TCA winter tour. The fall finale, Worse Than a Crime, gave fans their first look at Mr. Freeze (Nathan Darrow). Executive producer John Stephens revealed that this character will be returning in the 12th episode, which serves as the midseason premiere on February 29, and the 13th episode. Other iconic villains set to debut this season include Paul Reubens as Tucker Cobblepot, the Penguin's father, along with Clayface, Mad Hatter and Hugo Strange. B.D. Wong, who plays Hugo Strange, teased that he "thinks" his character will debut on the February 29 episode, but that hasn't been confirmed yet. The network is also expanding its comic book slate with their upcoming series Lucifer, a loose adaptation of the DC/Vertigo comic book character, which debuts on Monday, January 25 at 9 PM ET. The network is also developing the Marvel Comics series Hellfire, although it isn't known when that series may air. 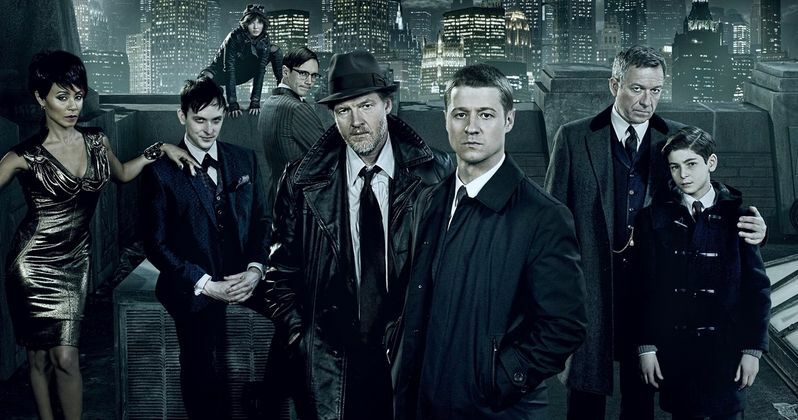 Do you think Fox should move forward with a Gotham spinoff, and if so, which character do you thinks deserves his or her own series?